Please use this thread to report any wiki-mistakes that you have found. Make sure you are polite and give us enough information to track down the error. Posts will be removed from this thread as fixes are completed. Wyrm transfers are NOT wiki mistakes and MUST be posted to the official trade thread. Please do not report them here. Often convention-cards can have small errors on them involving traits, body-colors, etc. Often this happens because the preview image provided to me (Arazia) does not have these traits/body-colors at the time, and it is changed later, before it is sold. So we have to fix them after the con. Bred-baby cards can sometimes have areas which are left blank/white if the photo the handler provides happens to not show the colors on that area. We color the card as best we can and expect that they will let us know if something is incorrect. 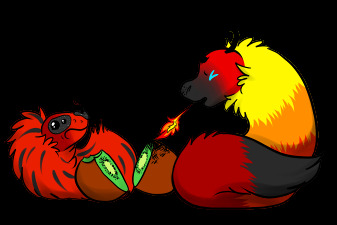 - All Wyrms list being slow or throwing a server error. - All Tea-cups list being slow or throwing a server errror. 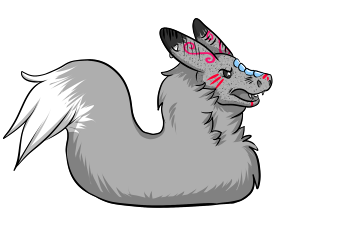 - Any wyrms that need to be transferred between owners should go into the transfer thread in the trade forums. My nudi has Benign white Ive been told. This isnt marked on her wiki page or her data card. Her eyestalks and chin are all pure white. Looks like my Gao from AC 2018 has a derp on their card. They have an orange body, but there isn't a diamond symbol next to their genetic color code to indicate a color mutation. That is most definitely the treebe you traded to me. Macgyver’s wiki says on his page and data card that he is a mini when he is definitely just a teacup.